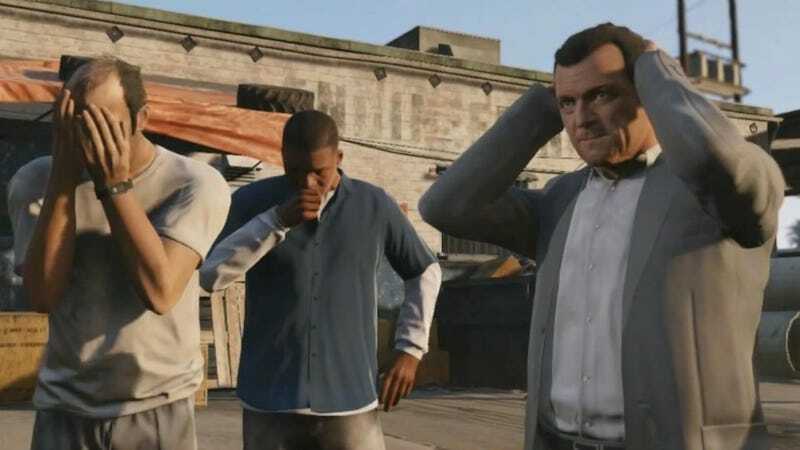 Declare Your GTA V Allegiance: Michael, Franklin or Trevor? Three men enter. One man leaves. It's time. Grand Theft Auto V has three main characters. Three sweaty, gun-wielding dudes, all vying for your precious attention and energy. "Play with us," they implore. "We're so lonesome without you. Come and play!" I'd also love to see you justify your vote in the comments below. If you could list your favorite in the comments with no spoilers unless clearly marked (I'll do my own favorite, too), we'll get to the bottom of who loves whom the best, and why.